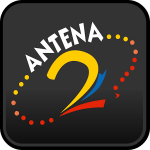 Antena 2 Colombia live broadcasting from Colombia. Sports based talk shows and sport based news programs are mainly the attraction of the programmings of Antena 2 Colombia. This is their one of the best in class radio for sport based talk and news shows. Antena 2 Colombia is one of the most famous online radio station on Colombia.